I live in South Florida where the winter temperatures can range from a low around 60° to a high of 80° plus. We will get the occasional cold front and might see lows in the 40s. Rarely does it freeze in the area. 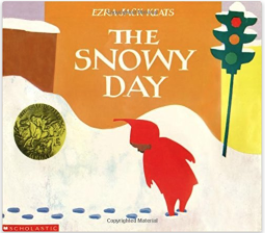 How do you teach about snow to children who rarely experience winter temperatures, let alone see snow? 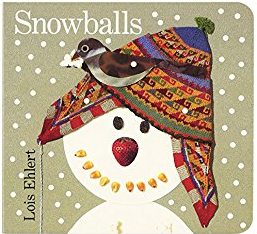 Snowballs by Lois Ehlert, The Snowy Day by Ezra Jack Keats, and The Biggest, Best Snowman by Margery Cuyler. I use YouTube videos as well. My favorite are time lapse videos that show accumulation. Snowfall time lapse and clean up (3:42) This one give them a good visuals of shoveling, cars making tracks and snow covering the tracks. We can't see snow videos without seeing some snowplows. Finally, we have to watch kids play in the snow. I want the students to get a feel for snow. I also like quick, easy, and cheap recipes. I cannot say where I found the idea for shaving cream and baking soda, but it is my favorite recipe for snow. 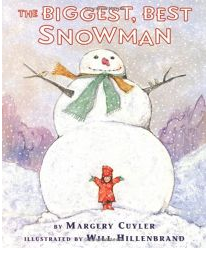 At the right consistency, the students can build a snowman. It is also cold to the touch. My students always comment on that when they touch it for the first time. Dispense all the shaving cream into a plastic container with a lid. Slowly add baking soda until the mix is not running and holds a ball shape. You just have to eyeball this. Let the mixture sit for at least an hour before the students explore. This amount makes divides into 4 nice piles of snow for the students to explore. I let the mixture sit for 5-10 minutes between groups. As you play in the snow, the heat from your hands will 'use' up the shaving cream. Letting it sit helps the mixture become fluffy again. I put out shapes and toys for the students to make tracks and designs. Most want to build a snowman. The kids enjoy getting to play in the 'snow' and I feel like they get a realistic feel for snow without having to leave south Florida. This is what the mixture will look like when it is ready to use.